Enhance your students long division practice with this Boom learning deck. 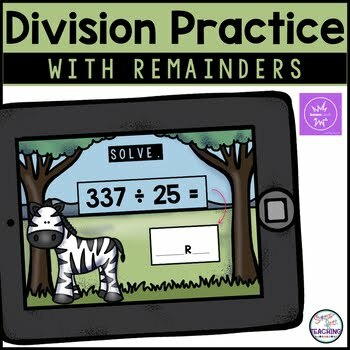 This set is perfect for practicing long division with remainders. Students will solve the problems and identify the quotient and remainder.